The Bini curry kitchen is based in Chilcompton Somerset, England in the UK. The quality ingredients are sourced locally and are delivered to the kitchen every day. 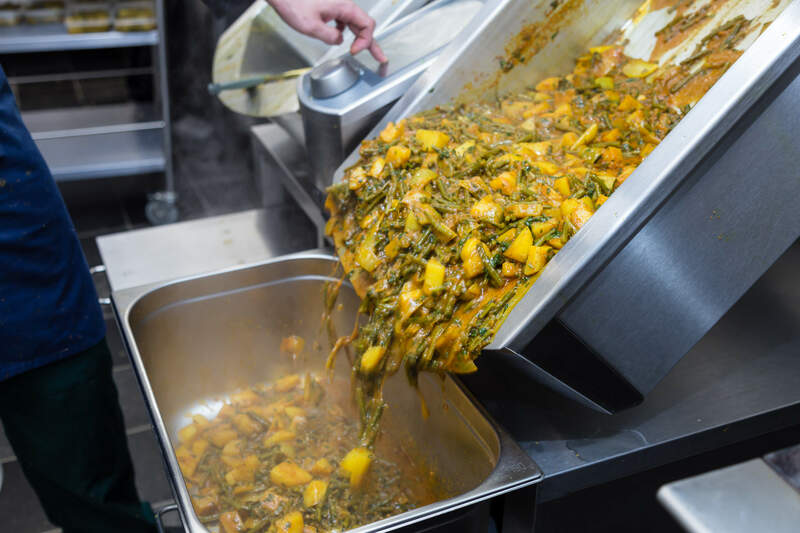 Each curry is cooked in small batches and with fresh ingredients that are lovingly prepared, cooked and blasts frozen by a small team on the day of production. Bini's ethos is to provide a home cooked Indian curry to each and every home and support local businesses within her supply chain. She takes the time to visit all the local suppliers and understand their product and processes. From Award- wining rapeseed oil, free range chicken, lamb, spices and vegetables. The ingredients sourced are of the finest quality. From starting her production in her own family kitchen, Bini has moved into bigger premises to allow for the increase in production. She has achieved EC MZ 069 standards which allows the distribution of the curries to go worldwide. Bini always wanted to ensure that each batch of curry is handmade, using the traditional techniques taught to her by her mother and aunties. This is still used today. It is just like stepping into her mothers kitchen and enjoying a traditional home cooked meal. Bini curries core values is to produce a luxury homemade ready meal curry, using quality ingredients and to provide exceptional customer service. Bini Ludlow is the owner and recipe guru of Bini Fine Foods Limited. With a starting budget of £200, Bini has grown her business using her knowledge and skills learnt from her mother and aunties. 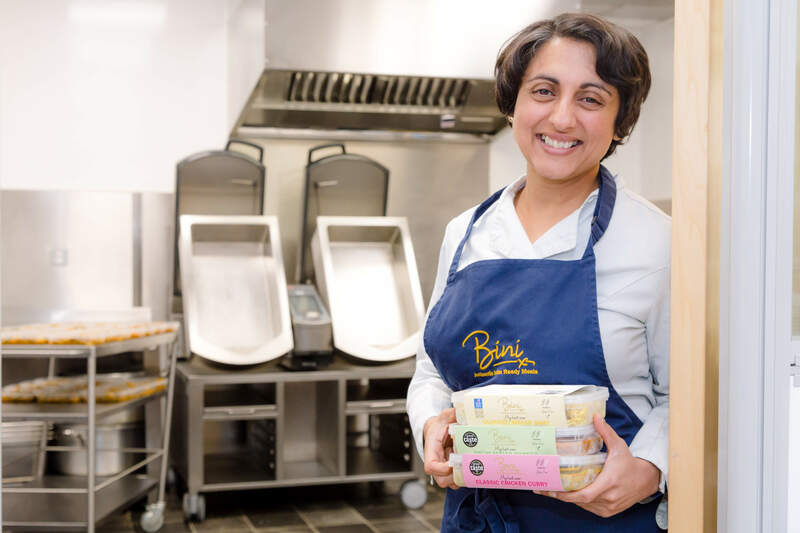 With over 35 years of cooking experience, Bini has developed the best range of authentic luxury ready meal curries for her customers to enjoy in their own home. Are any of the products suitable for Vegans? Yes there are 5 products that are suitable for vegans - Gujarati Toor Dal, Black Chickpea curry, Green Bean and potato curry, Potato and Coconut Curry and Gujarati Mixed Vegetable Rice. All the curries are gluten free and have been tested using the CODEX system. There is 12 month shelf life on the frozen products. Once defrosted and kept refrigerated, all the curries have a 10 day shelf life. Are the meals retail ready? Yes, all the curries have bar code, heating instructions, nutritional information, allergy advise, ingredients list, heating instructions, heat rating and a story behind each dish. All the heating instructions can be found on the side of the packaging on each of the curries. Bini curries can be microwaved from frozen, defrosted in the fridge and heated in the microwave or the curry can be heated gently in a sauce pan. Is your chicken free range? Yes the meat is free range and is freshly prepared from a local EC standard poultry farmer less than 5 miles from the production kitchen. The meat is delivered within 18 hrs of butchery, cooked and blast frozen on the same day. Using other EC standard or BRC Accredited approved supplies we can comply to the full traceability of every batch of curry produced in the production kitchen. Are the tubs and lid packaging recyclable? The plastic tub and lid are both recyclable. We recommend that they are washed and reused as a storage container. We insist that the customers be creative. What quantity do the products come in? The curries are boxed and packaged in quantities of 6. They are labelled, dated and bar coded. The best before date is stamped on each box for ease of stock rotation. How is the product transported safely? A refrigerated temperature controlled vehicle is used deliver the goods to the outlets. This ensure that the product reaches each destination safely and at the correct temperature of -18C. The driver is also able to print a temperature label of the freezer if required. How many people does one pack serve? All the curries are retail ready and come packed in 375g units. The rice is packaged in 300g. The curries are suitable as a very generous portion for one serving. Some customers buy a couple of curries and share between them. Can I buy the curries in larger volumes suitable for events, pubs and catering? Yes we can cook the product in 5 litre quantities frozen or fresh (to order UK only). The curries have featured on special menus for food outlets looking for quality product to serve to their customers. Contact Bini using the enquiry form for further information. The retail ready products can be bought from many outlets throughout the South West England, Worcester and London. See outlets list page. Are the products available as a fresh option? Yes, on request for UK companies. How do I become a stockist and place an order? Please contact Bini for further details about distribution to overseas countries. 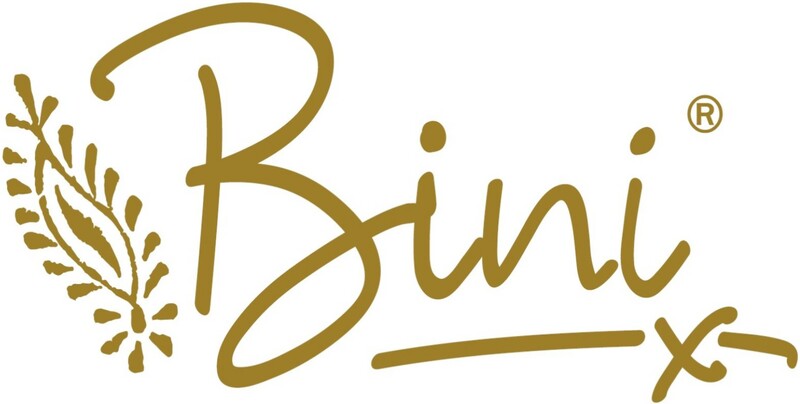 Email enquiry to bini@binifinefoods.co.uk and Bini will be more than happy to assist with any enquiries you may have.